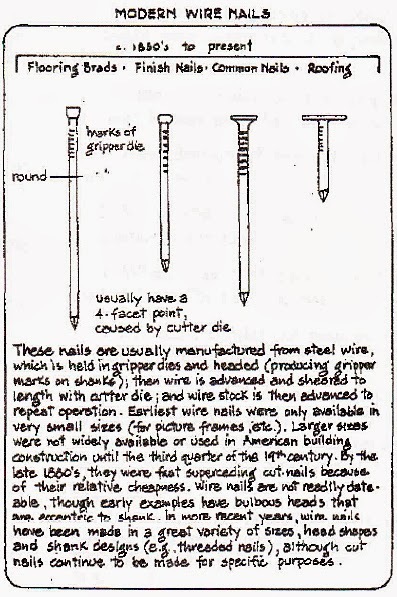 I love finding old furniture to repurpose or fix up and you can tell how old it is by the nail and screw heads so for people like me that loves DIY projects and repurposing, this is fascinating. Thanks for sharing. You can also tell by the saw marks on the wood...but that's another post for another day! wow, I have no idea. so interesting! As a collector of antiques, I find this sort of stuff very interesting. 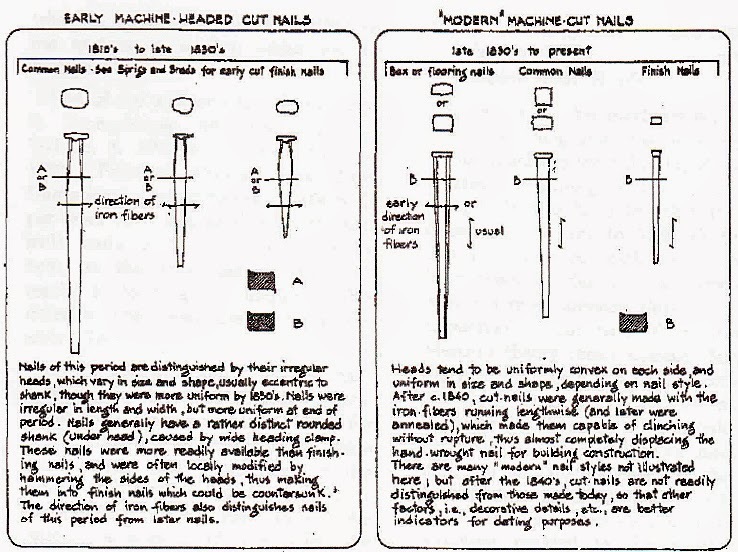 The nails are a very accurate way to date things. That is a really awesome fact to know! I am going to tell my son about it! He loves history. I have to know quite a few random facts as a mom and a homeschooler, LOL! Haha. Awesome :-) I am the queen of random knowledge. That's an awfully big gap! Is one going with what the assessor says? Because that isn't always correct. The only way to for sure know is if there's something in the deed that states with it was constructed. Good luck with the house buying process! PS - I street viewed Charleston a few days ago and I SO want to move there. The architecture is AMAZING! 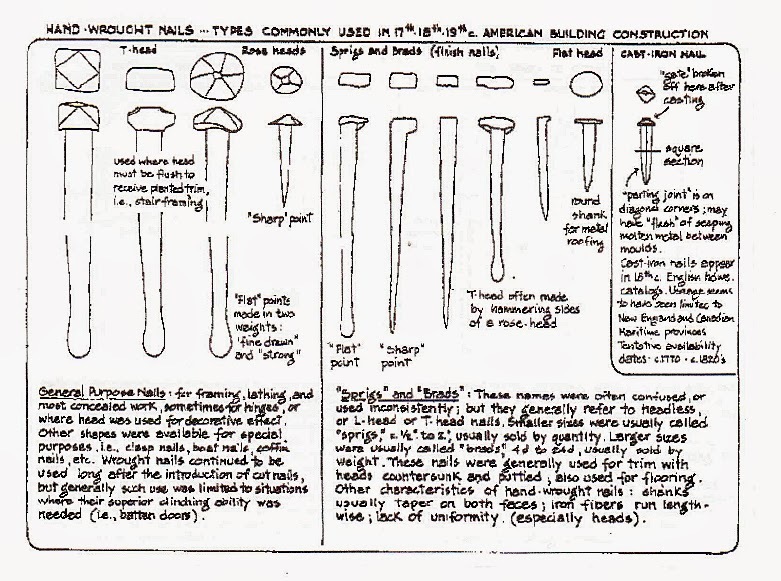 I didn't say I could build things... :-) When we look at barns in particular, it's really useful to know this stuff because the nails are exposed. With a house, they generally have some sort of "style" to them that was usually popular during a certain period, making it easier to date.